Harashima Shuichiro (Sanada Hiroyuki) is a wealthy but lonely businessman who succeeded his father's company after his death. Reputed to be cold, merciless, and corrupted in his dealings, he seeks only to expand his company and profit at the expense of others. One day, he experiences some painful seizures and decides to secretly visit a clinic. To his horror, he finds out that he has an incurable case of cancer and only has three months left to live. There, he is asked by a working-class man, Konosuke Shimodaira (Tamaki Koji) to lend him 30 cents. Unknowing of Harashima's plight, Konosuke cheerfully promises to pay Harashima back. Happy yet poor, Konosuke is the direct foil of Harashima - a man living an empty existence with money. From this moment onwards, Konosuke invites Harashima into his world - a world without money, but brimming with compassion and friendship, alien concepts to Harashima's cold heart. 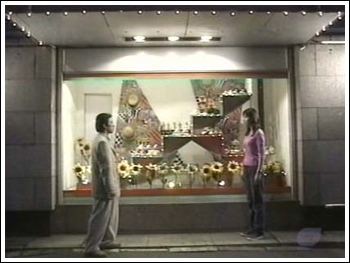 Although Harashima at first resists Konosuke's attempts to become friends, he eventually gravitates towards Konosuke and his friends' warmth, even finding love in the innocent Kaori (Matsushima Nanako). However, they have no idea that Harashima is the same man who is planning to demolish their homes in order to build a business center. How will his newfound friends react, and what will Harashima do with his last remaining months left to live?